North Wales is famous for its glorious natural wonders and outstanding scenery; features which help bring in holiday makers from around the world all year round. However, one of the lesser discussed associations is Motorsport; a theme which runs throughout the area. Not only does North Wales play host to the annual Wales Rally GB (set to take place at the end of October), but it was also the birth place of legendary Formula One racing Driver Tom Pryce who hailed from Ruthin. On top of this it is also home to arguable the best go-karting circuit in the whole of the UK. 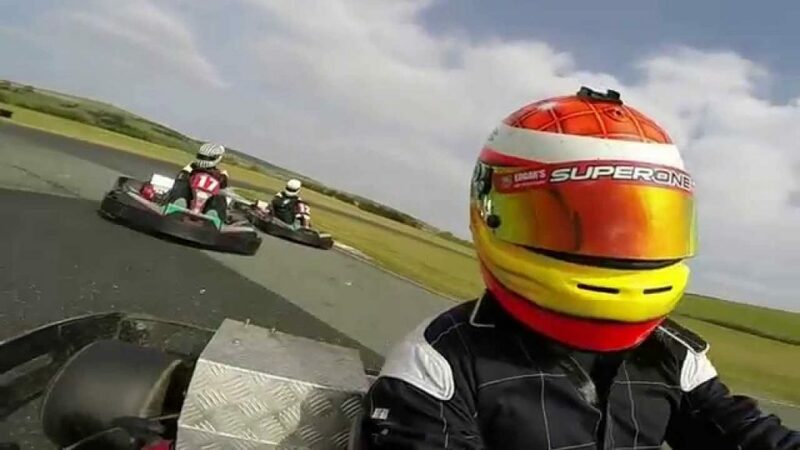 The tranquility of the Welsh countryside is often interrupted by the sound of roaring go-karting engines, with the thrilling GYG Karting circuit being located in a secluded area near Cerrigydrudion surrounded by the areas renowned natural splendour. This MSA approved track is one of the largest outdoor karting circuits in the country, with the longest of its two configurations being approximately 1,100 metre in length. It regularly plays host to both British and International Go-Karting Championship events, some of which are broadcast on Sky Sports and S4C to name but a few. This provides motorsport enthusiasts to catch a glimpse of the Lewis Hamilton’s of tomorrow as they battle for supremacy on a circuit which required nerves of steel and demands respect. Guests are welcome to take to the track themselves at times when there are no championship events taking place, with arrive and drive sessions available. There are two configurations of the circuit available, one for the less experienced and another for those who are slightly more confident behind the wheel. The longer of the two configurations features the notorious Devils Pinch corner where the slightly braver (or stupid) will fling their go-karts into a corner at full speed heading over the crest of a hill without knowledge of what is on the other side. Your stomach will feel like it is going to come out of your mouth if you manage to get the speed just right around this tricky corner which challenges even the best of them. While it is great to see the stars of tomorrow, it is also good to commemorate the stars of motorsports past. Tim Pryce from Ruthin remains to this day the only Welshman to have ever won a Formula One Race – triumphing in the 1975 Race of Champions which was held at Brands Hatch and featured the likes of two times World Champion Emerson Fittipaldi and the future 1979 World Champion Jody Scheckter. While these two World Champions were driving machinery entered by leading manufacturers Lotus and Tyrrell respectfully, Pryce was forced to make do with uncompetitive Shadow Ford machinery. He took full advantage of the wet conditions to highlight his undoubted skills, taking the chequered flag over half a minute clear of nearest challengers John Watson and Ronnie Peterson. Sadly Pryce lost his life at the age of 27 in the 1977 South African Grand Prix before his true potential could be realised. His place in the under funded Shadow team was taken by Alan Jones, who would go on to win the 1980 World Championship for Williams, highlighting what might have been. Visitors to the area can pay homage to Pryce by visiting a sculpture designed by artist Neil Dalrymple which is on display in Ruthin town centre. You can also admire the stars of modern day racing when you visit the upcoming Wales Rally GB which is being held across the North Wales area. Citroen driver Kris Meeke will be aiming to become the first British Driver in 16 years to win the event at a time when Richard Burns was on top of the Rallying World. Meeke will face stiff competition from the dominant Volkswagen team in the event, with team leader Sebastien Ogier no doubt keen to seal another drivers championship with a win (unless he manages to secured the title at the next race in Spain that is such is the size of his points advantage). Fans will also be given the opportunity to see former F1 driver Robert Kubica in action at the event as he continues his Rallying adventure. Spectators often take just as any risks as the drivers at Rallying events, so make sure you pick a spot where you are unlikely to see any cars coming directly towards you!